Conducted by Gustavo Dudamel, the Wiener Philharmoniker (Vienna Philharmonic Orchestra) performs Maurice Ravel’s “Boléro”, a one-movement orchestral piece, originally composed as a ballet commissioned by Russian actress and dancer Ida Rubinstein. Recorded during the Lucerne Festival on September 18, 2010. Director: Michael Beyer. At the closing concert of the Lucerne Festival 2010, the Wiener Philharmoniker performed Maurice Ravel’s probably most famous piece of music under the baton of Gustavo Dudamel: Boléro. The concert was broadcast live in more than 50 cinemas in Europe on 18 September 2010. French composer Joseph-Maurice Ravel (March 7, 1875 – December 28, 1937) known especially for his melodies, masterful orchestration, richly evocative harmonies and inventive instrumental textures and effects. Along with Claude Debussy, he was one of the most prominent figures associated with Impressionist music (a movement among various composers in classical music, mainly during the late 19th and early 20th centuries, whose music focuses on suggestion and atmosphere). The composition was a sensational success when it was premiered at the Paris Opéra on 22 November 1928, with choreography by Bronislava Nijinska and designs by Alexandre Benois. The orchestra of the Opéra was conducted by Walther Straram. 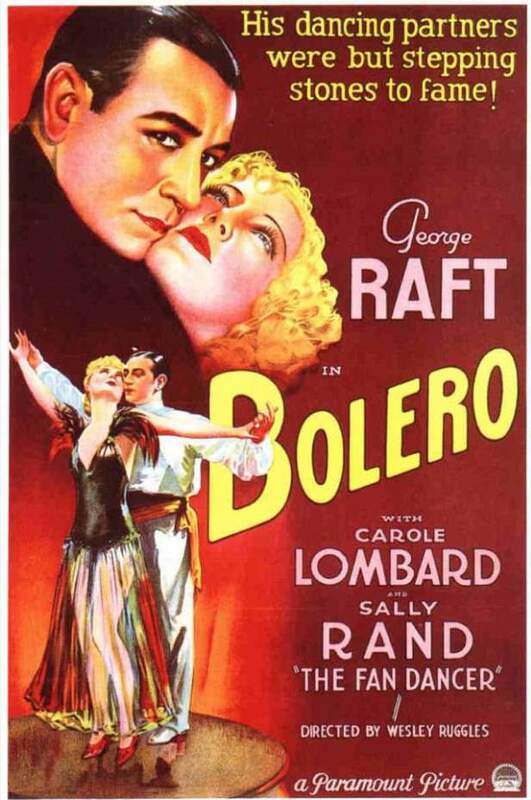 Theatrical release poster of Bolero (1934 film). It is a musical drama film starring George Raft and Carole Lombard, and directed by Wesley Ruggles. The film takes its title from the Maurice Ravel composition Boléro (1928). The supporting cast features William Frawley, Ray Milland,and Sally Rand. The Toscanini affair became a cause célèbre and further increased Boléro’s fame. Other factors in the work’s renown were the large number of early performances, gramophone records (including Ravel’s own), transcriptions and radio broadcasts, together with the 1934 motion picture Bolero starring Carole Lombard, in which the music plays an important role. É sempre um prazer ouvir Ravel e ver Dudamel! Obrigado por assistir, Luiza! Thanks for watching, Luiza.